SICK has launched a configurable, plug-and-play 3D detection sensor based on its Visionary-T range of industrial 3D imaging cameras, harnessing the imaging power of SICK’s single-snapshot Time-of–Flight (TOF) technology for a range of detection, warning and security duties. With on-board processing, the Visionary-T DT sensor can be easily set up to detect the presence or absence of 3D objects. It therefore offers a versatile, entry-level option for protection both of stand-alone objects or exhibits, and of large and complex wall-standing or mounted items such as furniture and statuary. Tasks that were previously difficult to achieve with a fixed camera are now quickly and easily accomplished by the Visionary-T DT, for example to detect whether an installation has been damaged, moved, added to or otherwise affected. The sensor provides 3D image analysis with a simple yes/no, occupied or unoccupied, signal depending on the configuration. 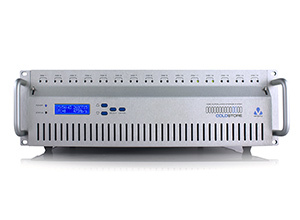 A discrete output signal enables easy integration with an automated security system. Direct communication capability can be set up to a visual display, acoustic alarm or a PC, enabling activity recording for later appraisal of any incidents. “The SICK Visionary-T DT allows users to integrate 3D vision into automated security systems without the need to process raw data or to perform complex programming,” explains Neil Sandhu, SICK’s National Product Manager for Imaging, Measurement, Ranging and Systems. SICK’s Visionary-T imaging sensors capture high-resolution real-time 3D images with one shot of light. With a sensing area range of up to 50 by 45 metres at 40 metres distance, the SICK Visionary-T DT provides excellent area coverage around objects. The powerful light burst illuminates even matt and dark coloured objects, and the adjustable filters allow application-specific optimisation for enhanced detection quality. For more information on the SICK Visionary-T range or other vision solutions, please contact Andrea Hornby on 01727 831121 or email andrea.hornby@sick.co.uk. 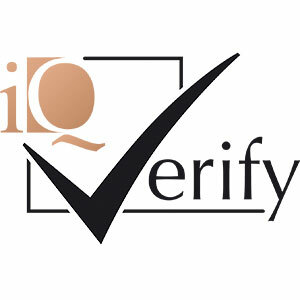 For the second year TOR International have successfully achieved certification to PSC-1 through IQ Verify. PSC- 1 is the international standard which provides a framework for a Security Operations Management System (SOMS) for businesses to deliver security services while operating in a hostile environment. “We are delighted to confirm our continued certification to PSC-1. In working with us to achieve this goal, IQ Verify have struck a fine balance between supporting our requirements and adhering professionally and thoroughly to the exacting standards expected of PSC.1” said Piers Hill, CEO TOR International. Being certified to this standard allows organisations to demonstrate their commitment and compliance to the legal obligations set out in both the PSC-1 standard and the Montreux Document and also demonstrates compliance with the principles and commitments outlined in the International Code of Conduct for Private Security Service Providers published by ICOCA. IQ Verify is an independent, international certification body accredited by the United Kingdom Accreditation Service (UKAS), able to audit to UKAS accredited schemes and industry schemes, specializing in security, risk and resilience. Tor International is a leading risk management and training organization promoting the health and safety of people worldwide. 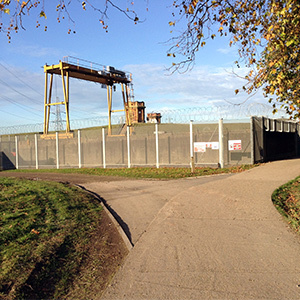 We are aligned with overarching US and UK government foreign policy objective, working with multiple stakeholders often in complex environments. 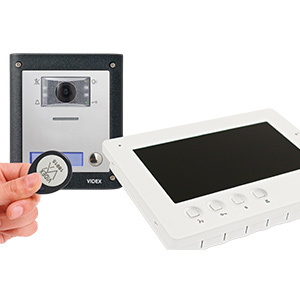 Videx, the experts in access control and door entry, have introduced a new video entry system that boasts a 3.5” handsfree colour monitor, integrated optional proximity for up to 50 users, that only requires two wires to link the door panels, videophones and PSUs together. To find out more about the new two wire video kit, please visit: www.videxuk.com or call 0870 300 1240. The brand name of Northern Ireland’s integrated bus and rail public transport company, Translink is a public corporation which provides public transport in the region. Northern Ireland Railways, Ulsterbus and Metro are also part of Translink. 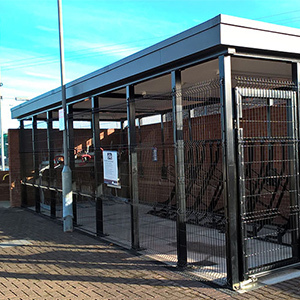 The first two secure cycle compounds have just opened at Belfast’s Holywood and Lisburn railway stations while other more traditional shelters have been rolled out across the province. It’s a welcome move and will hopefully encourage many more people to cycle. Up to now the lack of secure cycle parking has been something of a barrier to some people, and Translink have recognised that investing in the latest secure access control technology could help overcome this for the benefit of passengers and staff alike. Martin Nixon from Ambar Systems, the local SALTO authorised dealer in Northern Ireland, says “This is the first time access control via the Cloud has been used in a project of this kind. Using SALTO’s new KS ‘Keys as a Service’ technology, access to the secure bicycle shelter which can accommodate up to 30 bicycles at Holywood and is internally lit at night, is via a secure tag available from Translink. Translink Group Chief Executive Chris Conway said: “This is good news for all our customers who want to enjoy an active lifestyle enabling them to easily integrate both cycling and public transport into their regular journeys. “Cycling offers a healthy, flexible, inexpensive and environmentally-friendly way to travel for people of all ages. 65% of everyday journeys in NI are less than five miles – perfect distances for a leisurely cycle. “Existing cycle facilities are popular with many at capacity so this significant development will provide our customers with convenient parking for easy transfer onto the bus or train. “2018 is also the Year of Infrastructure and we will monitor the success of this pilot scheme with a view to future development to ensure our passenger facilities are as attractive and accessible as possible. We’re now encouraging our customers to use these new bike shelter facilities as part of their daily active travel routine,” said Chris. STANLEY Product & Technology, the leading provider of security and access control solutions, has announced the introduction of its next generation display card reader – PACOM 8707. Developed around the company’s highly successful PACOM Unison platform, PACOM 8707 will initially be available in the Nordics, with the intention to roll it out across other countries and regions in due course. 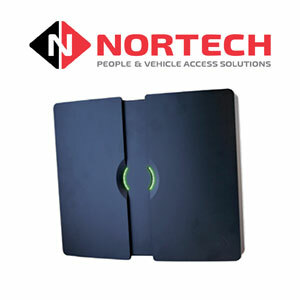 PACOM 8707 has been specifically designed to meet the requirements of companies of all sizes that want the mostsecure access control solution possible. As the first line of defence against those wishing to infiltrate operational technology systems and information, PACOM 8707 incorporates state-of-the-art card management and authentication, and supports all generations of the MIFARE protocol, including MIFARE Classic, MIFARE Plus (Levels 1 and 3), as well as MIFARE DESFire EV1 and MIFARE DESFire EV2. 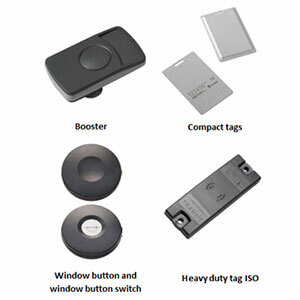 It also supports radio frequency identification (RFID) based cards and the Wiegand over the air protocol. 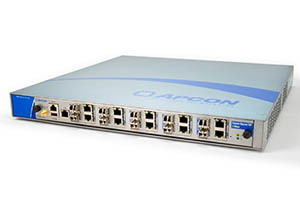 In order to provide an enhanced level of protection against hackers, PACOM 8707 also supports the latest version of the Security Industry Association’s (SIA) Open Supervised Device Protocol (OSDP) to ensure that sniffing devices can’t be installed behind the reader or along the communications path. The use of OSDP also allows means the card reader can safely interface with control panels or other security management systems. 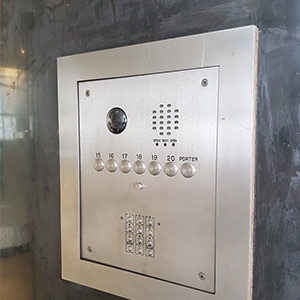 When used in modern commercial buildings, display card readers not only have to offer a high level of security and performance – they have to look good and be user friendly too. These elements have been designed into PACOM 8707 with a timeless and user-friendly design that is based around a cutting edge organic lighting emitting diode (OLED) display. This offers a solution that is much sharper than traditional liquid crystal displays (LCD) and can be read at wider angles and brighter light conditions, ensuring the information is readable in almost any environmental condition. The screen itself can be used to display both text and graphics, facilitating customisation and the opportunity to, for example, incorporate corporate logos or provide basic instructions to users on what action to take next. This is all made possible thanks to 16 backlit buttons, which are also designed to be accessible to people with disabilities. Remote and local programming and configuration couldn’t be easier. 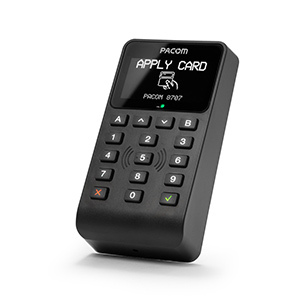 Programming cards or manual card reader programming devices are not required, as the downloading of encryption keys is carried out from PACOM Unison software, which then configures the card reader along with the rest of the security system. Alternatively, it can be locally configured through the OLED display when installed by an on-site systems integrator. Furthermore, the PACOM 8707 is highly flexible and its 10-30V DC range can accept a wider range of input voltages, ensuring that it can be installed in nearly any environment both indoors and outdoors. 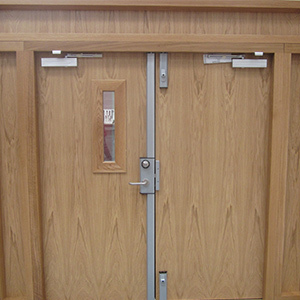 STANLEY Product and Technology specialises in security, access control and door entry solutions. Our systems are designed for a wide spectrum of applications, ranging from small enterprises which require complete plug-and-play solutions, to extremely demanding, complex and boundless environments with a need for seamless and effective 3rd-party integrations. Our world-class portfolio comprises of three trusted brands: PACOM, PAC and GDX which have a combined experience of over 100 years in the security industry. 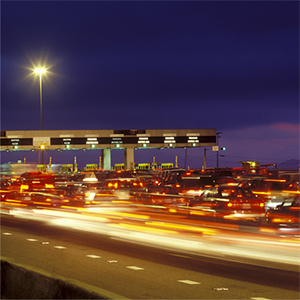 Driven by constant innovation and continuously evolving physical and cyber threats, our solutions provide unparalleled quality of products and services to protect people, property and assets. STANLEY Product & Technology is part of STANLEY Black & Decker, one of the 500 largest public companies in the USA, worth over 10 billion USD. STANLEY Black & Decker operates in 131 locations worldwide, with 45,000+ employees and 50,000 products. 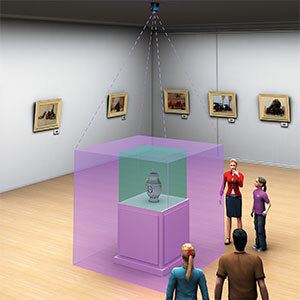 When a single-field laser scanner is all that is needed, SICK’s TiM100 2D LiDAR Sensor offers users a budget level solution with high-resolution performance for reliable security protection of valuable artefacts in museum and galleries. 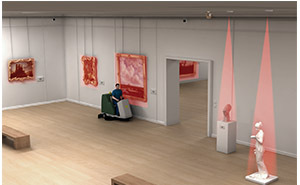 With a 200° field of view, and the ability to be mounted and aligned to the object needing protection, the TiM100 offers unobtrusive, compact laser scanning for non-contact security of paintings or artefacts without the need for physical barriers. Part of SICK’s wide range of TiM and LMS laser scanning solutions for industrial, building and internal security applications, the TiM100 is the ideal choice when a simple, compact and low-cost device is all that’s required. With SICK’s innovative HDDM+ technology built in, the sensor is able to deliver time-of-flight scanning with consistently stable results which are not affected by the presence of dirt, dust, moisture or ambient light. Says Neil Sandhu, SICK’s National Product Manager for Imaging, Measurement and Ranging: “When a compact, simple detection device is the most appropriate and affordable solution, the TiM100 is straightforward to set up and configure. The TiM100 is the economy option within the TIM series of LIDAR detection and ranging devices, which are installed all over the world. Backed by this experience, SICK’s field evaluation algorithms integrated in the TiM100 ensure excellent reliability and consistency of detection. The 100mm high by 60mm wide TiM100 device weighs only 90g, so is suitable for many applications where conventional laser scanning detection devices are too large or too conspicuous. Installation is quick and low-cost with a click-in mount and, with a 2.2W power offtake, running costs are low. For more information on SICK TiM100, please contact Andrea Hornby on 01727 831121 or email andrea.hornby@sick.co.uk. 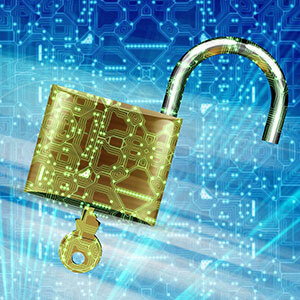 With a growing number of inline security tools being installed, there is a risk that a tool fails and it could cause network downtime and loss of data. The Copper Bypass TAP appliance combines fail-safe accessports for inline security tools, to protect networks from a single point of failure, and advanced visibility features to send traffic of interest to external monitoring tools.